If you are a home decor lover (like me!) then you are gonna LOVE this GIVEAWAY!!! My friend from college, Bridget is giving away $50 to her Willow House Shop!! I am SO excited to be able to offer a $50 Gift Certificate to Willow House! Just in time for the Holidays.... We are having a Gift Giving Sale this month so that $50 will go a LONG WAY! In addition to the Gift Giving Sale this month, I also have an OUTLET that is in my online store with WEEKLY DEALS every Monday! Be sure to head on over and see it all for yourself! Visit Bridget’s online store and share your favorite item. one entry. 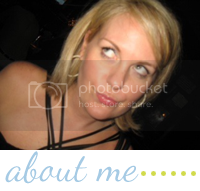 “Like” Willow House with Bridget on FB. one entry. 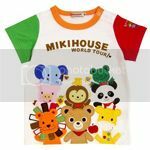 Sign up for Willow House monthly Newsletter- where you can find out about monthly specials and deals! one entry. Tweet, Blog or FB about the Giveaway. one entry each. I liked WH with Bridget on FB! I love the athena crackle vase! So pretty! I love the alfresco server! So unique and could be wonderful for an appetizer! I like WH on FB. I liked WH on FB! I do LOVE this giveaway!! Willow House has such beautiful items....I've been admiring the Marisol Wall Clock for a while now. My favorite piece in the shop is the Annabelle Iron Book Stand! I posted a Facebook update about the giveaway! I LOVE the Belle Meade entertainment stand. i love it all!! pick me pick me! I also "like" the FB page. I love all the platters! Signed up for the newsletter and have to say I'm in LOVE with so many things!!! I love the Southern Sippers Collection Serving Bowls. Perfect for the holidays! I love the iron book stand! Perfect for holding a cook book open while cooking! 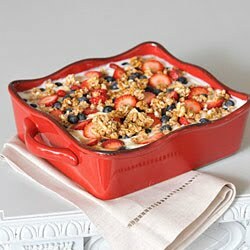 Loving the Cinnabar Casserole Dish! It would be super festive for Christmas! I have two favorite items. The first is the trifle dish. The piece has so many uses and I need a new one! Secondly, I love the Jolly Holiday Stocking set! They are precious! LOVE the Athena Crackle vase! I do LOVE this giveaway!! 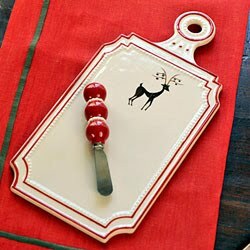 Willow House has such beautiful items....I've been admiring the Cinnabar Casseroles for a while now. Thanks! I like the Mediterranean Sage bowl. I have a few items from Willow House and absolutely love them! Great stuff!! 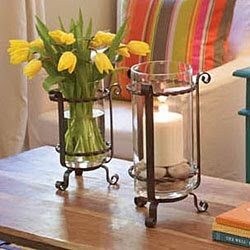 I love the Annabelle Iron Bookstand and also the white canister set. I am following WIllow House on facebook (Rust Hawk). I love WH....it's so hard to narrow it down. right now my favorites are the Decorative Card and Photo Display OR the memo board and the galveston holder. I love the flower planters! Great look! I am a new subscriber. Love the autumn planter. Great giveaway! I love the ruffle glass and Simone pitchers! Great giveaway! I love the parisian luminaries! I follow GFC. I would love to get the square casserole dish. I like the Simone Glassware like the pitcher as well. I love the Hyacinth mixing bowls and measuring cups. Oh my goodness, what don't I love. Gail Pittman Alfresco anything..., Montcrest Hurricanes, Riverstone Dinnerware, Mediterranean Sage bowl...I could go on and on. I wish you lived in the Chicago Suburbs so I could have a party! What a great giveaway!! Is it sad that my item of choice would be a salad spinner!? Fortunately I already have great Tuscan canisters. So a salad spinner it is!! So many great choices! 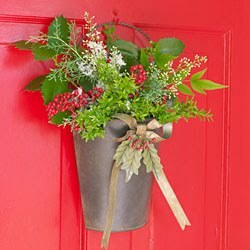 Love the Berry & Bow Door Bucket and the Jolly Holly Stockings. 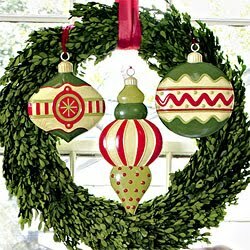 It would be fun to have some new holiday items! I love it all! Pick me! I love so many things, but perfect for the holidays: the Decorative Card & photo display - I have been in search of something like this for all of our Christmas cards! I love the Lady Jane Bottleneck Vases. So pretty. I Like Bridget's Facebook page! I love the abingdon buffet stand! I love the lady jane bottleneck vases. Love the french wire basket. I gave Willow House with Bridget a big thumbs up on the book! I liked Willow House on FB!!! we are getting ready to move into a new home in a new, far away state, and I would love some fresh decor to help us get settled! Love the Celebration Cake Dome! Would like one of everything! Cake dome is so nice. I love the Cinnabar casserole dishes. So bright and fun! I love the Emerson Glassware...probably my next purchase as I just broke not one, not two but THREE of our nice drinking glasses in the past week. I love the double and triple loop earrings! I like Willow House with Bridget on FB. I signed up for her news letter. Tweeted about your giveaway. -mamof5invt-twitter. I love the Mediterranean Sage Bowl....I would put in in the ornate stand. so beautiful!!!! Oh I love everything from Willow House. I love the Franciscan Wall Cross, and also the Keepsake Card and Photo Display! I liked Willow House with Bridget on FB. I like Willow House with Bridget on Facebook. I have signed up for the monthly newsletter! I really like the Southern Sipper Pitcher! I liked Bridget on facebook, and facebooked about the giveaway. I also tweeted about the gieaway! I just found out we are under contact on a new house, so how could i pick just one thing I will need to order to wrap up the decorating on the new house!!! love the Charlestone Candlestand from Bridget's Willow House shop! Such a great giveaway! My favorite are the Trilogy Mirrors! I like Willow House with Bridget on FB! 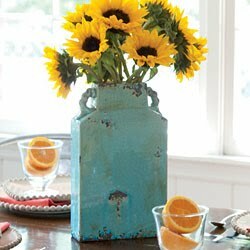 Love the blue crackle vase! So many pretty things! I love the Keepsake Card & Photo Display for the kitchen or mudroom! Hard to pick just one, but would love the red Cinnabar baker...perfect for the holidays! 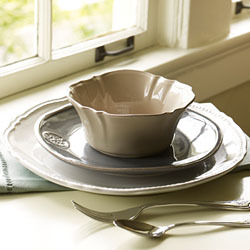 I love the "Gramercy Beverage Service set"
I would love some Amelia Thimble Domes... Too cute!